You will receive 100% of any compensation we win for you. It is against the law to drive without insurance or leave the scene of a road traffic accident without providing contact details, yet accidents are often caused by uninsured or untraced drivers. When this is the case, not being able to make a claim to an insurer or identify a hit and run driver needn’t prevent a victim claiming compensation. While the criminal law penalises those who put the public at risk and fail to follow the rules of the road, the Motor Insurers’Bureau (MIB) is able to compensate the victims of negligent uninsured or untraced drivers under specific scheme agreements - either a claim is made under the Uninsured Drivers’ Agreement or the Untraced Drivers Agreement. Making a claim to the MIB can take a long time, but with the help of an experienced road traffic accident solicitor the process can run more smoothly and be made less stressful. 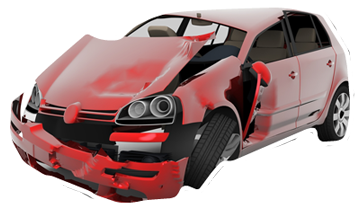 Provided there is sufficient evidence, and following an investigation by the MIB, a person injured by a negligent uninsured or untraced driver is likely to receive compensation for their injury. They may also receive compensation for vehicle damage and other expenses. Have you been injured in a Road Traffic accident that wasn't your fault? Call us now. Were you injured in the last 3 years? Did you require medical attention? received in Edinburgh, Glasgow and across Scotland.